The Luigino Victory has all the advantages and features of the Challenge only the shell is slightly heavier. The composition is half and half, and carbon fiber. New is the so-called Barefoot Technology: Luigino `s super ergonomic mold and very comfortable finished interior. 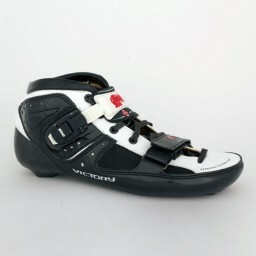 This technique was first applied only for Challenge and also the skate Boot from Luigino. Обычная цена: 22 375,76 руб. Special Price 19 188,20 руб. The Luigino Victory is a real end shoe and also fit for racers and also people who love a comfortable, stiff and tight boot. It weighs a little more than the Challenge, but is obviously cheaper priced! Mounting distance is 195 mm with a longitudinal slot. Обычная цена: 22 966,55 руб. Special Price 22 375,76 руб.